We need more parent advocates that are willing to get involved and help our cause!!! The article below in the recent news section was from the recent house-passed tax bill. This bill is going to cause problems for constructions costs with charter schools across the country. Anyone interested in attending, we accommodate to any parents that want to know more or get involved. These meetings are for anyone who wants to come so please share with fellow charter parents. Please call Murphy Olmstead at (208) 871-3885 if you're planning to attend. The meeting will be held at the Idaho Wheat Commission building in downtown Boise near the Capitol. National and local charter school groups criticized the tax cut bill the U.S. House passed earlier this month. They say H.R. 1 will make it more expensive for charter schools to finance building projects. That’s because the bill would ban charter schools from using several tax credits and tax-free bonds to cover construction costs. In Idaho’s case, three charter schools have started $25 million in projects over the past month. Without tax credits and tax-free bonds, the cost of these projects could double, the Idaho Charter School Network said in a statement Monday. The Senate version of the tax bill preserves the credits. Thank you to everyone who came to our Scavenger Hunt! We really enjoyed talking and learning about the charter school parents. We hope everyone had a great time and learned how they can help our cause. A special thank you to Idaho Virtual Academy staff and parents/ students! A word from our President! Here is a piece written by our President, Tom LeClaire. Keep your eyes out for a chance to read it in the Idaho Statesman as well! 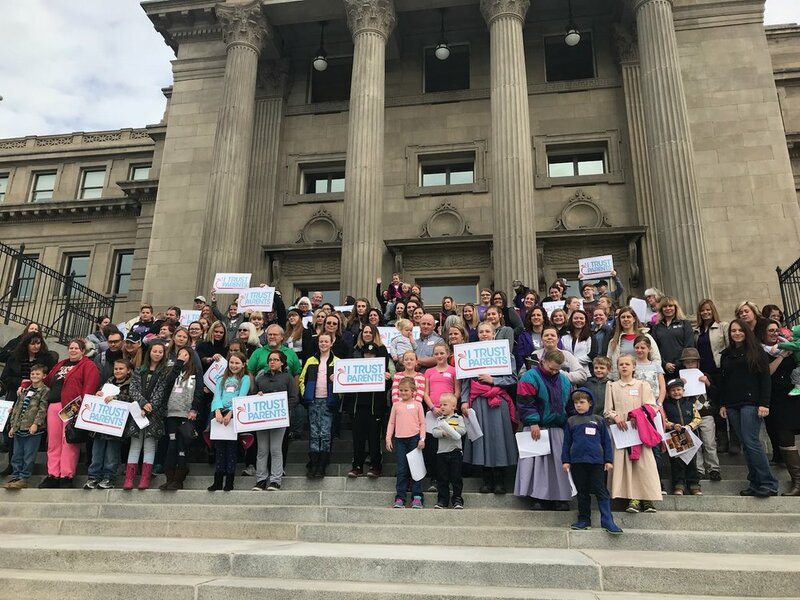 "The Idaho Constitutions says the legislature "is to establish and maintain a general, uniform and thorough system of public, free common schools." Many legislators and education stake-holders are concerned that our state is not meeting this mandate. A special legislative committee is considering major changes to Idaho’s public school funding formula, including a shift to a student-based model. As president of the Coalition of Idaho Charter School Families, I strongly support this committee's efforts. The current public schools funding formula is based on staffing and program allocations set by the Idaho Legislature and the Idaho Department of Education. The state government tells local school boards how to spend approximately 75% of the funding they get. This funding formula is overly uniform, inflexible, resistant to innovation, and takes accountability away from local school boards. Also, students are more mobile than ever and this staffing and program-based funding does not keep up as students move from a traditional school, a charter school, a chartered online school and back into a traditional school. We can do better than this. A student-based model would give freedom to principals, allow for more innovation for teachers, and bring more accountability to local school boards."